Communication Objectives: To learn to ask about one or many things. The lesson will use a school supplies vocabulary to build sentences. Language Objectives: To learn to use demonstrative pronouns in plural and singular forms to ask about one or more things. In doing this, learners will learn school materials and stationery vocabulary. Dialogue Story: Mom has just bought a number of school materials for Lisa. 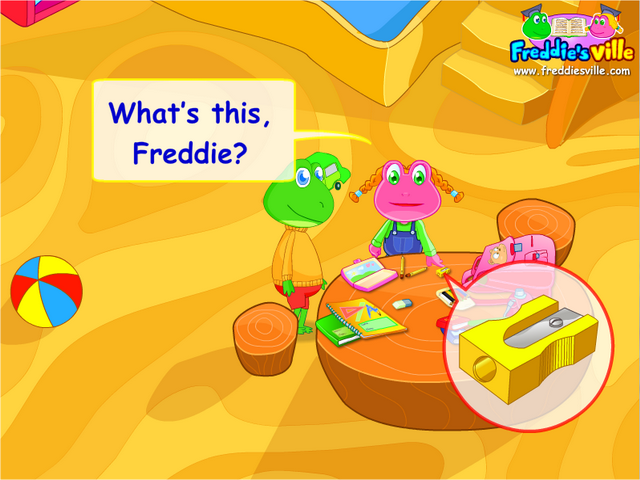 Freddie is asked to take the materials to Lisa. A conversation about their names and uses begins.